I absolutely despise this framework. It’s so specific about how you should approach an application, right down to how much percent of your answer should be dedicated to the situation, the task etc. This framework has destroyed the human element of actually getting to know someone – I believe a person’s character – as well as their experience – will often tell someone that they are more than capable of doing the job. What’s more astonishing is that a 15 minute interview will never be about you. The interviewers will again ask you four or five competency questions which you have to answer so specifically – they’ll never want to find out who you actually are. How are you supposed to build successful relationships in the work place if people aren’t interested to know anything about you? It’s amazing, old fashioned, soul destroying nonsense. This should make it simple to secure any role one wants by using invented examples that mirror the prescribed behaviours in the percentages specified. As long as one memorises a cover story well and has a supply of additional ‘examples’ this should be child’s play for psycopaths and sociopaths! The civil service recruitment and promotion process is all wrong. People get jobs because others have written competencies for them and they’ve memorised it. People who are hard workers and actually have the necessary skills are being denied positions because they didn’t get a mate or manager at a high grade to write competencies for them. It’s so sad. I’m writing my example for ‘Managing a Quality Service’ as we speak. The job is for a Review Officer which i would normally be able to do sitting on the latrines, but I expect a corporate clone 20 years my junior to get the post. Ho hum. Jim G, I really do sympathise with you. I’m attempting to write an example of ‘Making Effective Decisions’ at the moment. My current job role is ‘Decision Maker’ and is right there in the job description part of the form. I’m actually really struggling to put words to this one. Maybe should just write ‘As a Decision maker what exactly do you think I do all day?’ lol! Although I’ve been working on a temporary promotion basis more often than not for the last few years, and it’s really clear that I’m more than capable, I’ve missed out on full promotion due to the awful scoring system of the competency based application. Use the right number of required words and your through to the next stage. Talk yourself up in interview, regardless of whether any of it is true, and bingo! I’m struggling with exactly same competency. I have been doing the job well for the last year yet struggle to get through the sift or interview. civil service promotion is such a joke. And the competency framework encourages all the wrong behaviours. Some of it is good and some of it is rubbish. Aspiring Fast Streamers for example are examined against those competencies. Not necessarily the nicest or most competent people get the jobs. I think some civil servants are just plain devious or inhumane, because that is what the system produces. The system is a joke I recently went for a interview at DWP to answer phones after working in a previous call centre but I didn’t get the job cos my answers didn’t meet competencies even though I have had previous call centre experience. 1. This framework should not be allowed to put all servants of the state into boxes of behaviour that will deter them from being effective and human. 2. I feel extremely saddened by the role HR has been allowed to lead on when it comes to recruitment. Dogmatic HR approaches – including making everyone apply for jobs online, and no longer on paper unless you have a disability, is killing ‘integrity, honesty and hope’ for the future UK governance. Why did we allowed HR to hoodwink managers into allowing so much agency and allowing so much poor value for money? 3. It is truly depressing for older women who are being made to work till 68 yrs. instead of the promised 60 yrs. Why should they have to wait another 8 plus years to retire? In that time many will probably die because of not being able to find employment – despite their skills and abilities which HR nearly always find a reason to ignore. There are enough living UK teachers, nurses and doctors. However, the state ensured that many had retired before they were ready to; and then put agencies in charge of spinning the line about “UK labour shortages”. (Charging the public five times the costs of normal public servants). 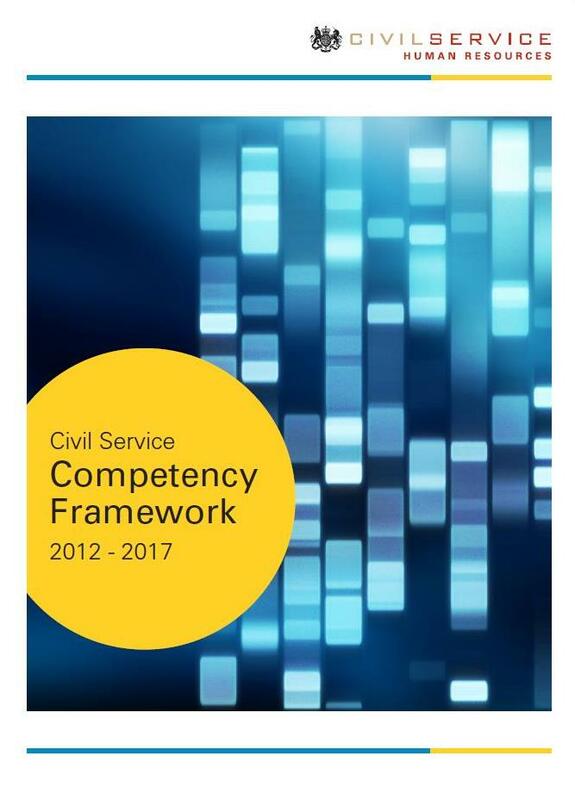 If those who fit the competency framework have allowed this to happen, no wonder so much ineffectiveness of government has been seen to happen recently. 4. Young IT led civil servants rarely have a clue about real competencies. Thanks to these young civil servants or agents who helped them devise new policies (without the input of experience and without a care about the impact on others) – we can all expect to sleep worse at night. There is a serious lack of forethought because young civil servants doesn’t have many experienced older colleagues helping them to relate to human need. 5. I feel that this framework reads more like a study devised by those with mild autism. The civil service has a long history of being remote and inhuman in its approach; and its recruitment schemes have always reinforced getting that ‘civil service type’ recruited rather than those people who can really advise from a human perspective and who can dream up creative and acceptable solutions. I just did a competency situational judgement test. A real battle through ranking 4 unappealing false dichotomies. I used my common sense to decide what to escalate to my line manager and not to do anything twitty like immediately threaten someone with written warnings for minor infractions… I got 12%. Either I’ve missed the point entirely or the object is to hire nasty people.